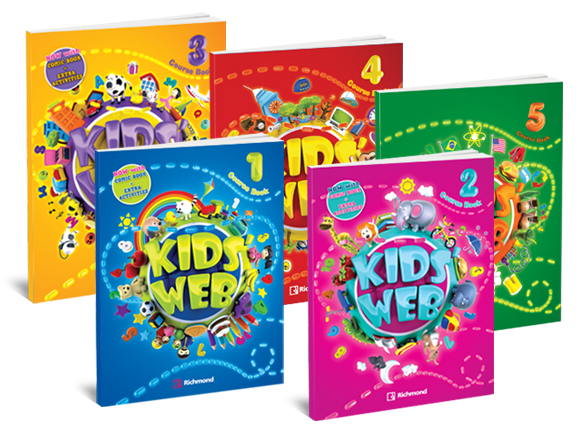 Kids' Web accompanies children in all phases of their intellectual development, attending to their individual characteristics and offering them the possibility of learning a foreign language in a significant, fun and entertaining way. A meaningful use of the language is one of the main features of the series, which relates the activities proposed in the classroom to the daily life of children in their social context and the real possibilities of application of the knowledge and skills acquired. interact with the main character, Webby, through augmented reality. Course Book with a built-in Activity Book and CD-ROM. Teacher's Book with Class CD.